Welcome to my second ever book review. The first one was three years ago so I figured it was time I do another. Okay, it’s because I write more than I read but this particular book definitely needs a comment or three on. 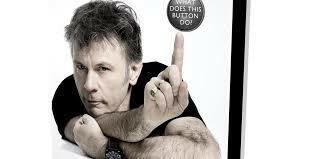 My total reaction to “Bruce Dickinson, An Autobiography” was, “I wish I could write like that.” Bruce has a distinct writing style that definitely entertains as well as it informs. When recounting his life, he doesn’t do the normal David Copperfield crap with dates and list of his life’s events. Instead he gives those accounts through his own eyes in a very amusing way which at times while reading it made me wonder if I should pack up writing. Naturally, I read the book to hear about his life with the great Iron Maiden and yes, there are some wild accounts there. However, his life before and outside of Maiden was just as intense. Reading about his childhood, his father was a bit of a Delboy Trotter, (a character from the famous British sit-com “Only Fools and Horses), in the sense that he was always acquiring and running different businesses, often at the same time. At one point, he owned a hotel but sold used cars from the front of it. I point this out because I think Bruce’s childhood experiences contributed to his eccentricity. How he became a pilot was also a very good and interesting read. He started on a twin engine plane and by the end, he was piloting huge passenger jets. Then there is how he started his brand of beer, “The Trooper.” However, the part that I found most interesting was during his solo career. His account of his concert in war torn Sarajevo and all what he and his band had to go through, the check points, the fear of getting fired on, to be able to perform was absolutely mind blowing. Talk about guts but then it was those guts that helped him beat cancer very recently. How he describes what he went through while battling this disease is harrowing and it’s only right that he gets full marks for overcoming it. Bruce Dickinson’s autobiography is a cracking read from start to finish. He keeps the reader entertained while at the same time giving them insight into his wild and wonderful life. Plus there are a few surprises along the way as long as events that I didn’t know about but not surprised about. I bow to the superior writer here. 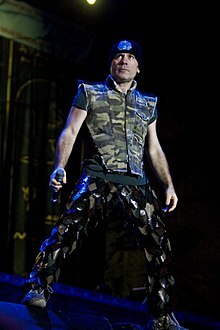 Reading the autobiography has further convinced me that Bruce Dickinson deserves a knighthood. Therefore, I call on all British readers to clink the link and sign the petition. On a different note, though I have retired from festivals, I will still go for single days. This year, it looks as if I must go to Bloodstock on the Sunday because Queensryche are headlining and Twisted Sister’s Dee Snider is also on the bill for that day. I don’t feel worth to post a link to Rock and Roll Children for this post. 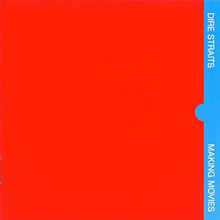 In spite of the fact that I loved both of Dire Straits’ previous two albums, “Making Movies” kind of passed me by in 1981. What is even stranger is that I know the first three tracks on the album very well. Track three, “Skateaway” is my second favourite Dire Straits song of all time. I still haven’t forgiven them for not playing it when I saw them live in 1985. They did play the other two songs and my number one favourite, “Sultans of Swing” but that’s little consolation. Thinking back to that night I saw them live, “Tunnel of Love” was the concert closer and for some reason, I remember it being played slower than what appears on the album. My theory was that they may have been trying to sound more mid 80s. The version on album has all the trademarks of the great music this band was making at the time. Mark Knopfler plays his classic licks throughout and he does the same with the second track, “Romeo and Juliet.” Those two songs build up perfectly to the song whose praises I can’t sing enough, great song but I know I’m biased here. However, three tracks don’t an album make and the great music that is on “Making Movies” continues to go on long after. In fact, it goes on immediately into the next track “Expresso Love.” The opening riffs to the song are rocking and I can’t take anything away from the final three tracks on the album. The first of those three, “Hand in Hand” might be a little slower than the rest but it doesn’t detract from the quality of this album because the last two songs bring it all home very nicely. So, this is yet another album that makes me want to travel back in time and force the me back then to listen to it. 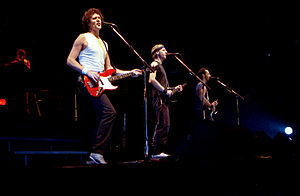 One historical part in “Making Movies” was that David Knopfler left the band during the recording of the album in 1980. I don’t know the reasons behind this but am always open to enlightenment. 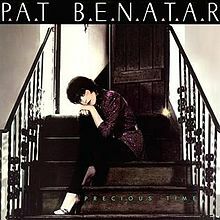 “Making Movies” is a fantastic album and hearing it makes me slightly sick that I let it go by me for all these years. Still, I’m not yet ready to forgive Dire Straits for not playing “Skateaway.” It could be a reason why I don’t give an account of the concert on “Rock And Roll Children,” just merely a mention. You have probably noticed from the post’s title, I want to do a poll. I have four ideas buzzing around my head for my third book but don’t know which one to choose. So, I’m asking you as a prospective reader to choose the one you would like to read the most. Idea 1: A prequel to my first book Rock And Roll Children. The story is about Bob’s older brother Mitch who serves in the US peacekeeping mission in Beirut in 1983. He is wounded but returns home to total indifference and even intolerance. 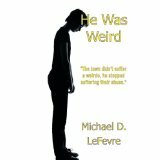 Idea 2: A sort of sequel to He Was Weird. A talk show host, in a bid to save her plummeting ratings, holds a show where mothers of school shooters meet with mothers of their victims. Donna Leversee would appear on the show. Idea 3: People who were either victims or witnesses to crimes are badly let down by the British justice system. They go onto form a vigilante network. Idea 4: A male substitute teacher works in various schools and impresses female members of staff in more ways than one. Please tell me which of these appeals to you, it would be greatly appreciated. Book Review: Laina Dawes- What Are You Doing Here? 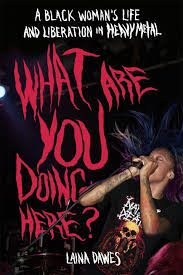 Not many posts ago, I revealed a book written by Laina Dawes entitled “What Are You Doing Here?” In the book, Ms Dawes tells us of her experiences as a black woman who is into heavy metal, the music she was into and the bands she saw. She also relates the experiences of other African American women who love heavy metal as well as some black female artists who can totally rock. Now that I have read the book in its entirety, I can say that what I read was truly eye opening indeed. Let me get one thing clear and I know that no one is actually saying this but I am not ashamed of being born white. No one can help the colour of the skin they were born with and that is one reason I take a huge exception to anyone of any race who persecutes human beings who were born of multi- racial parentage. That aside, I am often embarrassed by some of the things my ancestors have done throughout history like slavery, discrimination, the colonization and subjugation of the African continent by Europeans. Now, having read this book, I am ashamed that white, male metal heads could act this way. I have always said that heavy metal could unite the world but after reading I still see that metalheads have a long way to go before we can do this. Furthermore, while I have campaigned against the right wing belief that heavy metal turns you into a criminal and gets you to hate your country, I have also campaigned against the left wing view that our genre of music is sexist and racist. I now know that I may have been wrong because Dawes tells of many experiences of both. In “What Are You Doing Here?” Dawes tells quite openly of her negative experiences and some of the positive ones. She had to face down attitudes such as “You think you’re white” as well as the “only one” syndrome being the only black female at many shows. However, the whole time she never comes across was playing the victim. In fact, she tells how she doesn’t let those attitudes stop her enjoying the music she loves and reading some of the acts she’s into, I would love to go to a concert with her. Just no one tell Mrs 80smetalman. The one thing that is really done well in the book is how she traces the history of rock and metal back to its origins. I began this blog with Jimi Hendrix, (another great black musician who help found metal as we know it today) but she goes back even farther than that to some of the great old blues musicians including BB King. In this case, Laina is absolutely correct in the fact that we as metalheads owe the origins of our music to music originally started by African Americans. So, I would encourage all to grab a copy of “What Are You Doing Here?” It not only shows us the true origins of our music but also points out that heavy metal still has quite a long way to go before we gain true harmony. While I was going through my daily dose of heavy metal google alerts this morning, I can upon a book that sounds fascinating to me. The book is called “What Are You Doing Here?” by Laina Dawes. It tells about the struggle on an African American woman in the world of heavy metal. When Laina Dawes was eight years-old, she sat in front of her television watching the made-for-television movie “Kiss Meets The Phantom of the Park.” Soon after, her parents gave her Kiss’ Double Platinum record, and later followed an obsession with bands like Judas Priest and Black Sabbath. Laina Dawes is a bona fide metal head. But her fandom is complicated, though it probably shouldn’t be, by the fact that Laina is a black woman. During her time in the heavy metal scene, she has experienced a lot of racism and sexism, as well as judgment and hostility from various black communities. Laina Dawes is the author of “What Are You Doing Here? 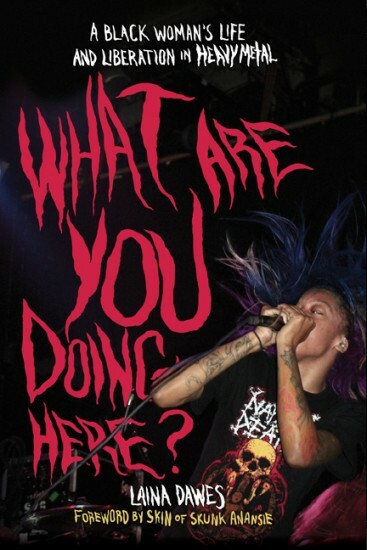 : A Black Woman’s Life and Liberation in Heavy Metal” (Bazillion Points, 2013). Dawes talks with host Frank Stasio about the complicated relationship she has with heavy metal. She says that although heavy metal has in the past been viewed as a white male scene, the music can be powerful for anyone who feels like they need an outlet for anger. 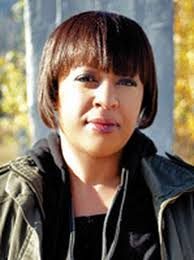 Dawes grew up in rural Kingston, Canada, as one of the only black people in her community. Listening to heavy metal was one of only a few things that helped her deal with her frustration and feelings of isolation. 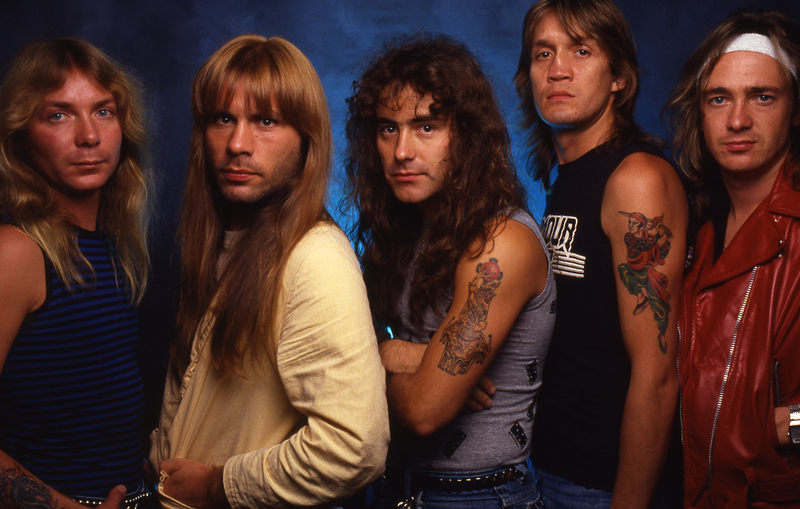 Although heavy metal can be very empowering to its listeners, the scene surrounding it can be very racist and sexist. Dawes spoke to many black women involved in those scenes in their respective communities who survived violence inflicted on them on the basis of their race. “One of the women I interviewed for the book was knocked unconscious” states Dawes. But there are still black women breaking down barriers and performing heavy metal. Dawes says that her favorite part of this project has been meeting women who challenge the norm with their passion for the genre. I, for one, am going to read it because I have always battled against the accusations of heavy metal being sexist and racist and I’ve always believed that knowledge is the best weapon.